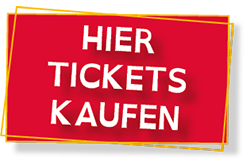 As a member in a BDMV association or a participant in one of the competitions you directly contribute to the musical program of the Deutsche Musikfest 2019. We invite you to take part in the numerous competitions and evaluation contests and participate in dozens of concerts and show events as well as workshops at the 6th Deutsche Musikfest in Osnabrück. Interested ensembles and associations can find detailed information regarding application and participation on the following pages. BDMV’s 5th Open German Championships “Spielleutemusik” held within the Deutsche Musikfest is the most challenging national music competition in the field of “Spielleutemusik”. The German term “Spielleutemusik” includes marching show bands, flute and fife bands, fanfare and bugle bands, drumbands as well as drum and bugle corps. Competing ensembles in the marching and show competition are judged by a well-reputed international jury panel of the World Association of Marching Showbands (WAMSB). All the competing bands will receive recorded jury comments that will help them to improve their performance. International bands are not required to qualify for the 5th Open German Championships “Spielleutemusik”. 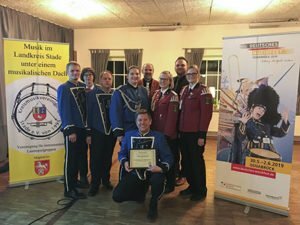 Winning international bands will be awarded the title of an Open German Championship and the best German band will become German Champion. The public is most welcome to all competitions! The Marschmusikwertung (Street Parade march) and Marsch- und Standspielwertung (street parade march and standstill piece) offer large freedom in presentation. Music in movement expresses its characteristics especially in Marching Parades and Shows. In this latter form of presentation free elements and strict formations are entirely dissolved, rejoined and freely interpreted. Stage shows are a revived form of presentation and belong to the category Entertainment. In stage shows, participants are provided all freedom of presentation in order to entertain the audience – from within a fixed stage area.If the qualification standard is reached, the contestants of the 5th Open German Championship “Spielleutemusik” will also be entitled to take part in the WAMSB world championships WAMSB 2020 in Japan as well as in 2021. All categories are open to youth and adult ensembles. The drum battle is offered for the first time by BDMV and therefore held as a demonstration competition. The drum battle is open for percussion ensembles with instruments that can be used in motion. This provides a specific challenge for marching drum lines and percussion ensembles since technical skills and visual presentation must be achieved while moving. A presentation takes about 120 seconds. The ensembles must present their best skills within this short period of time. During presentation, two ensembles face each other on a square of 15 x 15 meters and play successively. The evaluation through the jury follows promptly after the presentation and the winner is announced immediately. Because of the direct proximity to the audience in the city centre, the public is brought very close to the musical happening and vividly experiences the musical “boxing match”. Also the concert contests will be judged by a well-reputed jury panel. In contrast to the marching and show competition results will not be included in the ranking of the German Championships.